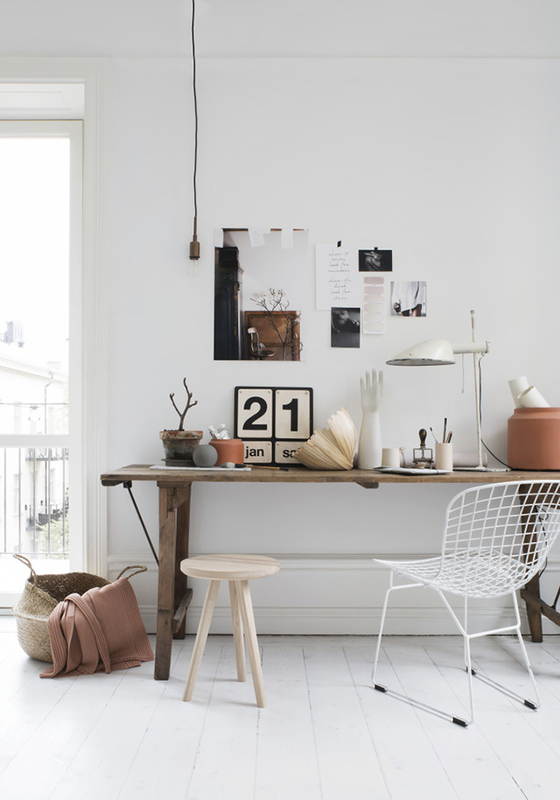 Brown tones add such a lovely warmth to bright white spaces. 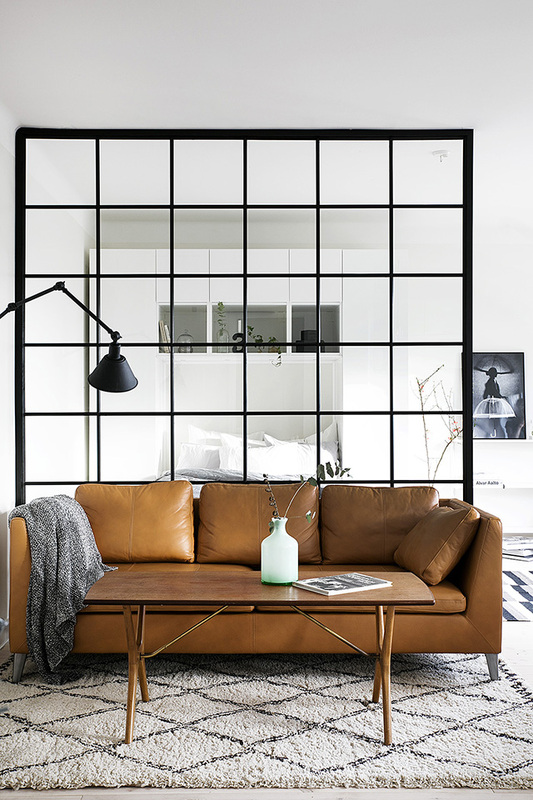 I usually gravitate towards darker tones, but the caramel colour of the leather sofa below provides a striking contrast against the monochrome backdrop. 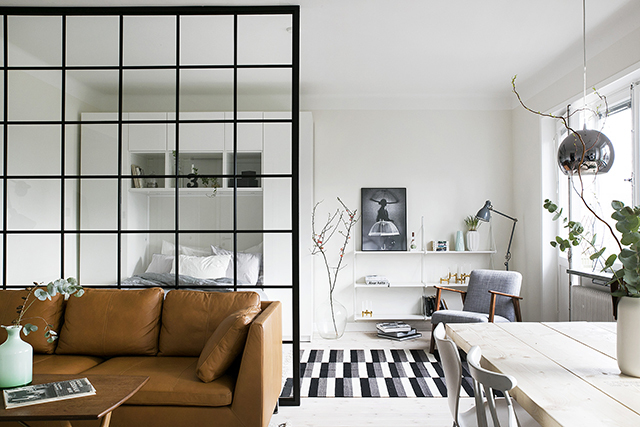 Adding a graphic element to the room and enhancing the overall effect is the very cool steel partition. I'm not quite sure where I would put it, but I really want one! 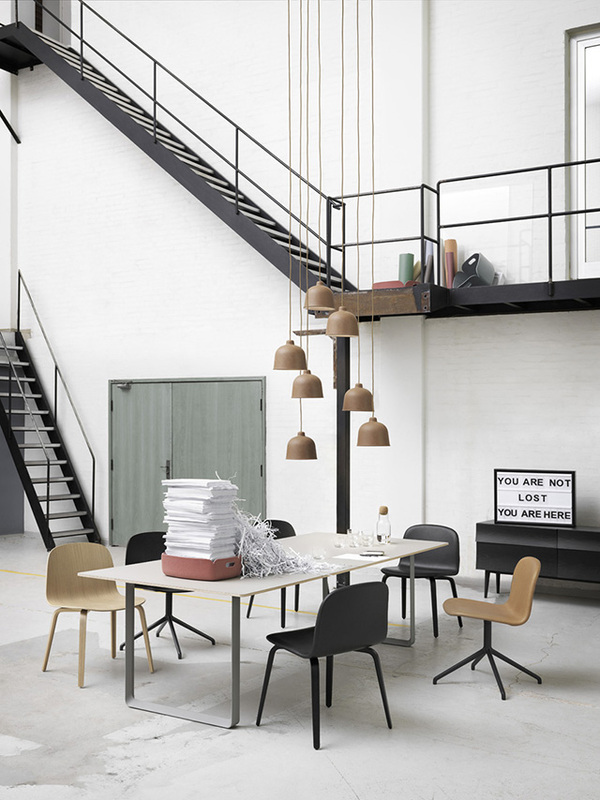 Small touches can also make an impact. 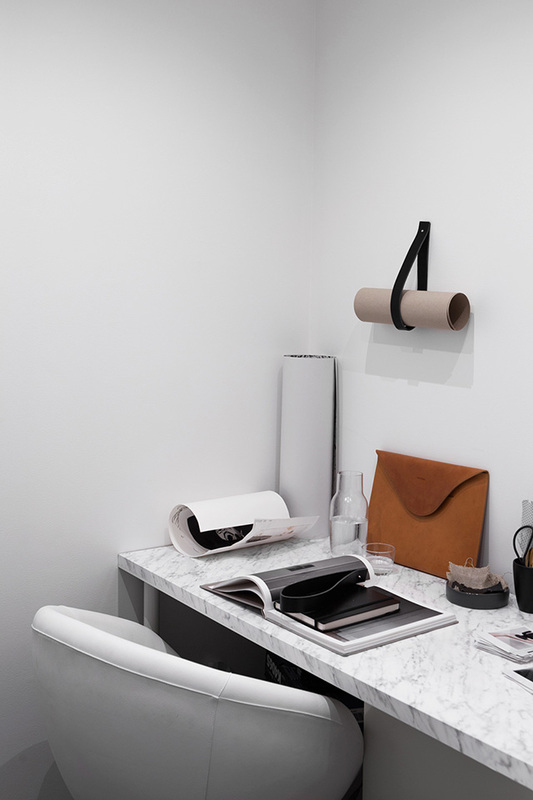 I love the look of the leather clutch against the white walls and marble desk in this next image. 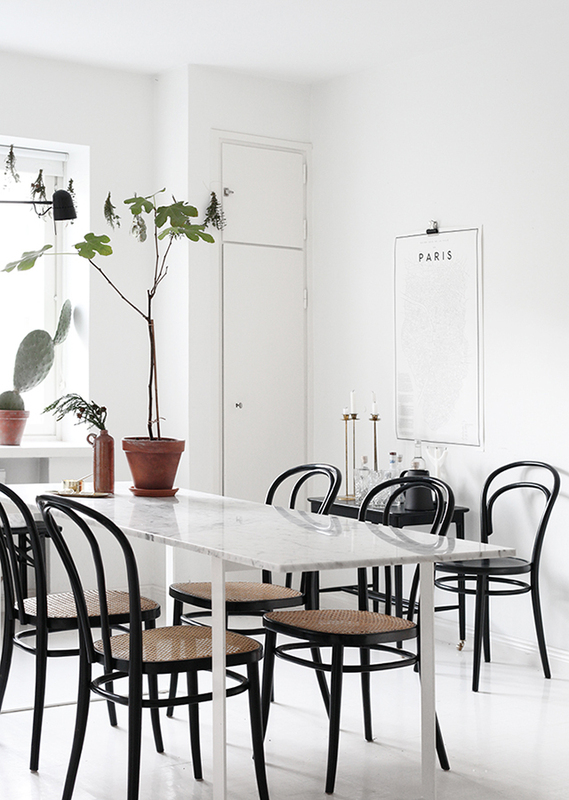 More marble below, with simple terracotta pots sitting atop the dining table and windowsill. 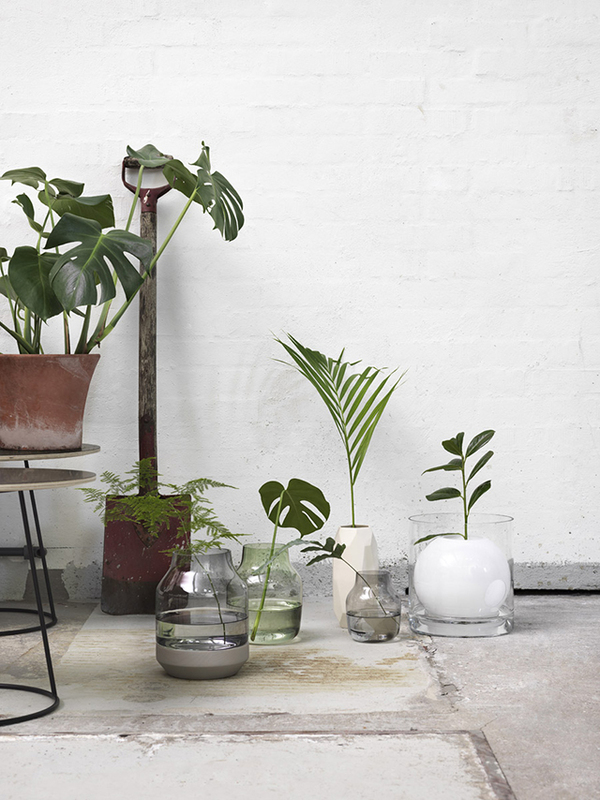 A mix of different sizes and a range of interesting plants will create a focal point in any light filled, white space. 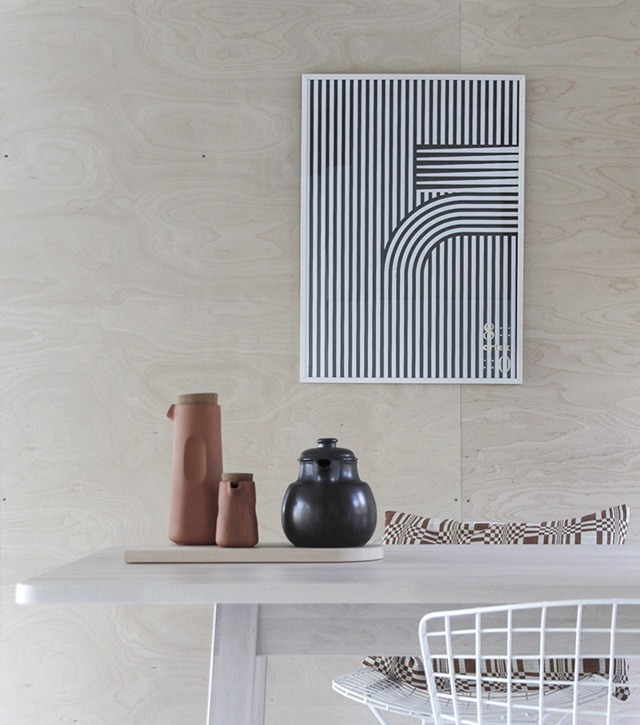 Or why not add some touches to your kitchen or serveware? 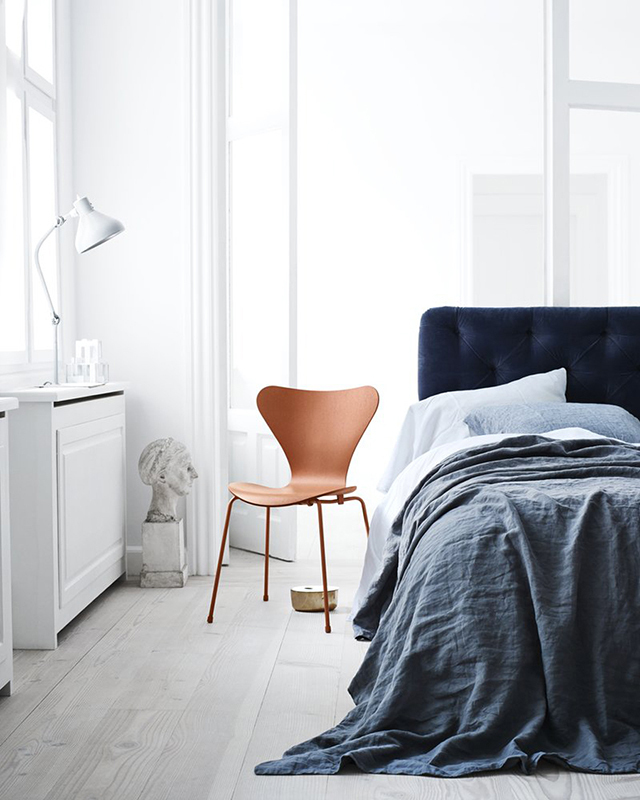 The Chevalier Orange Series 7 Chair by Arne Jacobsen above is so vibrant. 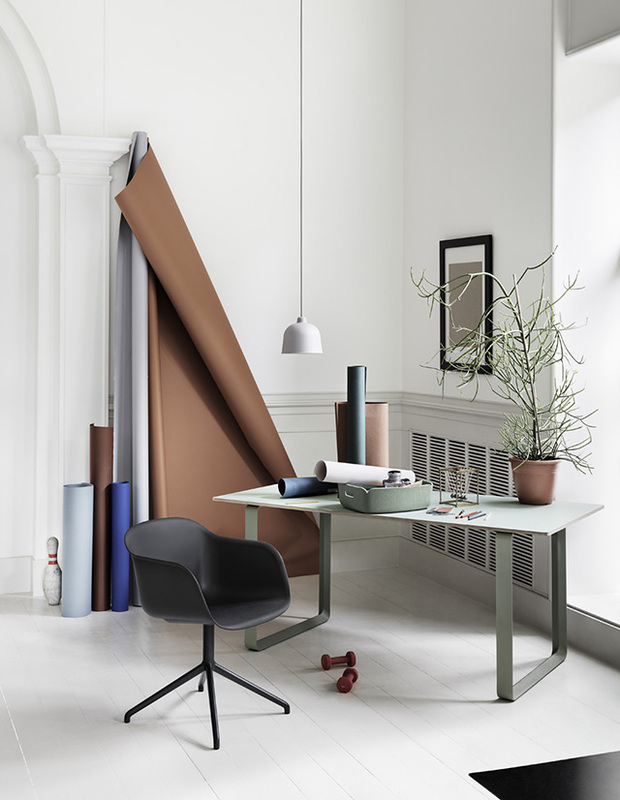 Browns and terracotta shades work beautifully with blues and greens. 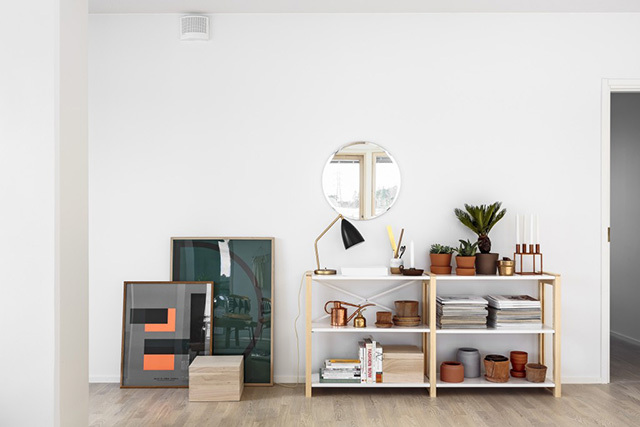 Muuto have featured this palette is their stunning Spring Summer 2016 collection below. It's a good use of lots of different materials.